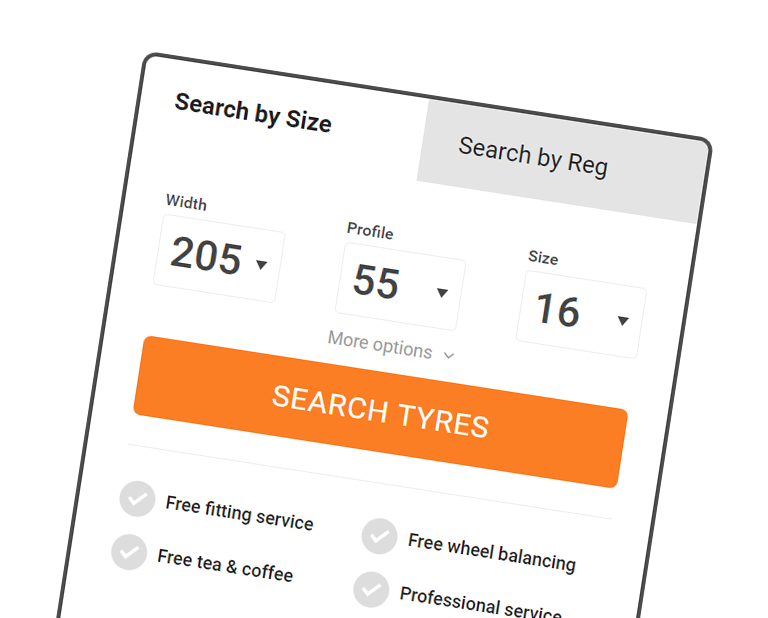 This website allows you to select tyres for your vehicle and then book a convenient time for fitting. We take all payments in store after the job has been completed. Our tyre size data is provided by matching DVLA data to tyre size data from the SMMT (Society of Motor Manufacturers and Traders) to identify the tyres fitted to your vehicle as original equipment. Sometimes cars are fitted with upgraded wheels/tyres so we recommend that you always take a moment to double-check the tyre size actually fitted to your car before making a booking. We endeavour to ensure we are displaying the correct tyres for your vehicle. However, we recommend all customers check the tyre size printed on the side wall of their tyres before proceeding with a tyre purchase as occasionally discrepancies do occur. Double check that you've entered the correct details e.g. entering letter O in place of a zero. Whilst we do have data for many Light Commercial Vehicles we can’t always guarantee this. If you have recently transferred a personalised number plate it can take the DVLA a few weeks to update their database. Whilst we will do our best to help, it is your responsibility to check that the tyre size you have selected for fitting to your vehicle is correct. If you are concerned about this you should contact us as soon as possible on 02890 837766. If you forget what tyre you’ve booked you can always check your confirmation email or call us on 02890 837766 and we’ll quickly check our records for your booking details. Please check that your spam filter hasn’t caught the email and then you can always contact us on 02890 837766 and we will e-mail a copy of your confirmation to you. If you want to amend your booking please notify us as soon as possible by telephone on 02890 837766. What if the additional work I have reserved doesn't need done? If you have reserved any additional services and they are not required we will remove the services from your invoice. There is no charge for us checking these services either.